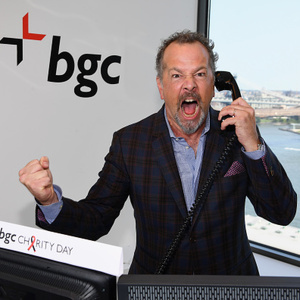 How much is David Costabile Worth? David Costabile net worth and salary: David Costabile is an American actor who has a net worth of $6 million. David Costabile was born in Washington, D.C. in 1967. He attended Gonzaga College High School then Tufts University for undergrad. In 1998 he graduated New York University's MFA program in acting. He has appeared on Broadway in productions of Translations, Titanic, and The Tempest. In 2008 he starred as Managing Editor Thomas Klebanow on the television series The Wire. From 2007 to 2009 he starred as Doug on the TV series Flight of the Conchords. Costabile had a recurring role in the series Damages from 2007 to 2010. The show that put David on the map was Breaking Bad. From 2010 to 2011 he starred as Gale Boetticher on the critical acclaimed series. Years later he reprised the role on the spinoff Better Call Saul. He starred as Simon Boyd in the television series Low Winter Sun in 2013. Since 2012 he has had a recurring role as Daniel Hardman on the TV series Suits. Costabile has also starred in the movies The Siege, Cradle Will Rock, How the Grinch Stole Christmas, Notorious, Solitary Man, The Bounty Hunter, Lincoln, and Runner Runner. In 2013 he was nominated for an Online Film & Television Award for Lincoln. Starting in 2016 he began appearing in starring role on the Showtime series Billions as Mike "Wags" Wagner. He has been married to Eliza Baldi since 2012. They have two daughters together and live in Brooklyn.